Fijian performers give their best during the opening ceremony of the 2012 Festival of Pacific Arts held in the Solomon Islands. 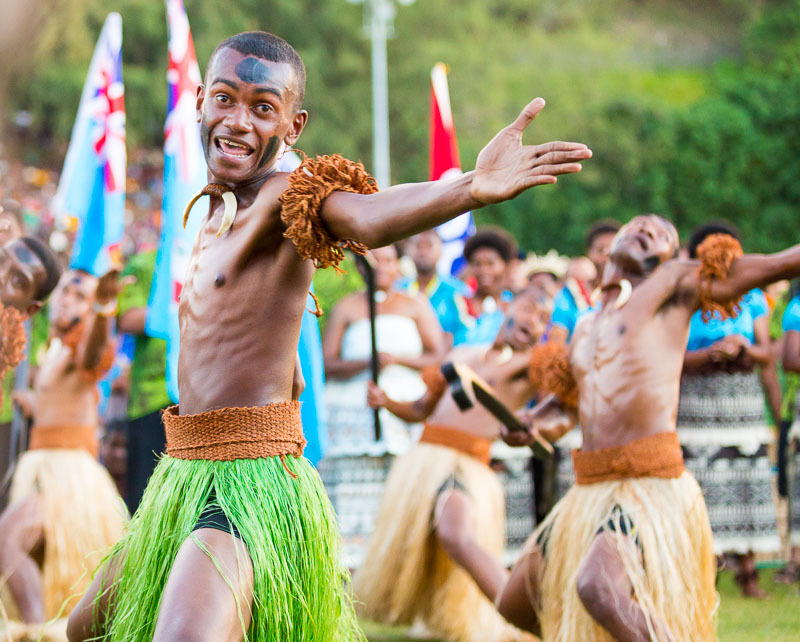 This energetic dance celebrates Fijians’ famous history as fierce warriors with prized wooden clubs. Today, Fijian culture is a unique mix of Polynesian, Melanesian, Indian, Chinese and European peoples who inhabit over 110 of Fiji’s 332 volcanically formed islands. This unique mix of cultures is also represented in the various faith communities as 52% of the population are Christian, 38% Hindu and 8% Muslim. While the Fijian Bible, first published in 1864, is used widely there are still a number of languages in Fiji without any Scripture available. Please pray for the ministry of Bible translation in Fiji.